The great thing about modern embroidery is it is all done with digitized patterns and computer precision. From monograms to logos, embroidery is great for personal or company apparel. Our embroidery department can do one piece or a few hundred. You are welcome to bring in your own clean items or purchase them from one of our many suppliers. We can help you design a one of a kind design or have your own logo digitized for a small fee. 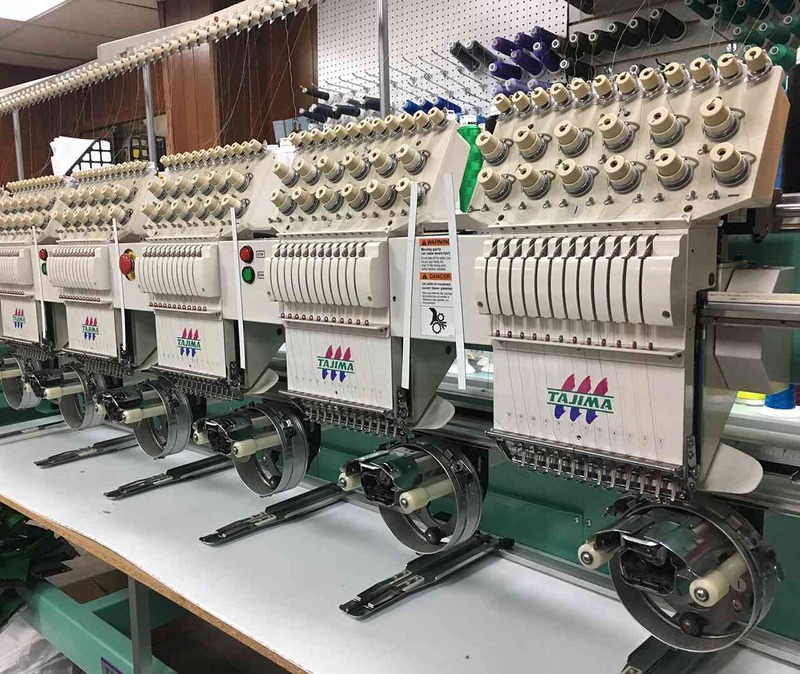 Stop in and speak with our embroidery expert today. We reserve the right to refuse any item you bring in due to hooping inability or design placement.